Asia Poker is actually an adaptation of two Chinese games known as pai gow poker and “13 cards”. The earliest documentation of when this game was established showed that casinos in the Atlantic City were the pioneers and from there it moved westwards. Today, there are few places where this game is enjoyed than Harrah’s Rincon in California and the Rio Gold Coast in Las Vegas. 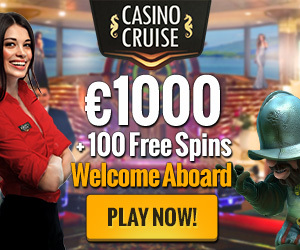 As with all other casino games, the Asia Poker is govern by strict rules and in our usual fashion we have tried to explain them in terms that even the newbies in the gambling world can relate to. The games uses a 53-card deck that includes a joker with the joker been used to complete any of straight, flush, straight flush or royal flush. Where the joker isn’t used as any of the listed, it is regarded as an ace just like in pai gow poker. One the wager has been made, the player and the dealer get 7 cards each. The player then arranges his cards in a one- card low hand, two-card medium hand and a four-card high hand. It is important to note that under no circumstance should the low hand be higher in poker value than the medium hand and the medium hand also in similar fashion to the high hand. A violation of this rule is considered a foul and the player losses. The medium hand has pairs and two singletons with no straights and flushes. The dealer will then set his hand in line with the house-way which means comparing the player’s three hands to the corresponding dealer’s three hand. Where there is a tie or the dealer gets a higher value, the house wins, otherwise, the player smiles to the bank. Where a player wins at least two hands of the three he played, he shall win even money on the amount wagered. If not, he losses. Fortunately, there are no commissions charged on winnings. 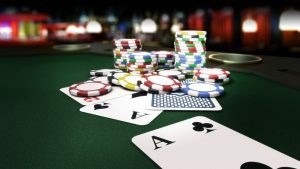 Additionally, Bonus Bets can be offered usually based on the traditional poker value of the player’s initial seven-card hand. To understand the pay tables of the Bonus Bet, we have provided further clarifications below. Strategy: It is important to know that most hands will be conspicuous and if you are not sure of what to do, you should request that the dealer set your hand in line with house-way. House Edge: The house edge for most casinos is 4.82 just as implied by the game owner himself. House Way: Based on the House Way in the Gold Coast in Las Vegas, please note that some game houses lie Harrah’s uses a different house way. Cards in line with house way are defined into groupings such as 2-6=Low, 7-10= Medium and J-A= High. Garbage: Players must endeavor to play the third highest card in the low hand, the 2nd and 4th highest cards in the medium hand and the rest should be played in the high hand. One pair: When you have a high pair with no high single tons or perhaps a high singleton whose value is lower than the pair, it is advisable to split the pair between the medium and high hands. Otherwise, play the 2nd highest singleton in a low hand. The 1st and 3rd highest singletons should be played in the medium hand and then all the others in the high hands. Two Pairs: When you have a pair of kings or aces without any high singletons, you should play two pair together in high hand. Or else, split the two pair and play the highest singleton in the low hand, the low pair in the medium hand and the rest in the high hand. Three Pairs: If you have either aces or kings and a singleton in the low or medium hand, play a card from the high pair in the low, the ace or king and the medium hand singleton and lastly the two pair in the high hand. Else, where the singleton is low or medium, and then play a card from the highest pair in the low hand, in the medium hand the medium hand should be played and the rest played in the high hand. Again where there is no ace, king pair of high singleton, then the singleton should be played in the low hand, the highest pair in the medium hand and the remaining two pair in the high hand. Three of a Kind: When you have cards with face value of 2-10, it is advisable to play the second highest single ton in the low hand, then the first and third highest singletons in the medium hand and the others in the high hand. Where you have three jacks without any high cards, you can play the highest singleton in the low hand, a jack and second highest singleton in the medium hand and the other cards in the high hand. When having three jacks plus two other high cards, use the same strategy as with the cards with face values of 2-10. 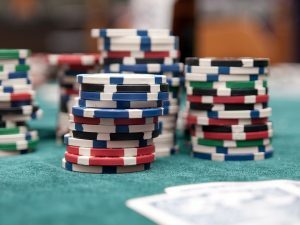 When faced with QQQ-AAA and probably one or two high cards, be calm and play a pair in the high hand, otherwise maximize the low and the medium hands. Full House: The traditional way to play a full house is to ensure that the highest singleton in the low is played before any other card in the low, the pair in the medium and the three of a king and possibly the low singleton in the high hand. When you have three queens or higher with a medium or low singleton, you may split the three of a king into both low and high hands ensuring that the pair is retained in the medium hand. Once you are assured of at least on singleton, you can play the usual way. With a pair of aces of kings and no high singletons, players can split the pair between both mediums and low hands and the three of a kind in the high hand. If you have at least one singleton in the high hand, then it is safe to play the usual way. You can also play the usual way where there are three queens or higher and a high pair without a high singleton just split up the three of a kind between the low and high hands. In all other situations, you may play the usual way.